Widely-applicable across the US, this Wisconsin Wildlife Primer (from the WI Dept of Natural Resources) describes the ecological role played by common mammals and how settlement and farming over time have affected habitat and connectivity. 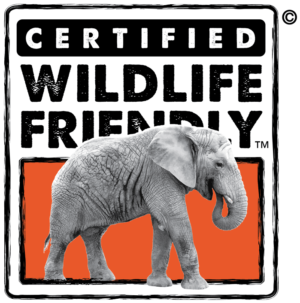 It also contains information about introduced exotic wildlife species and is a good overview of wildlife ecology and the history of wildlife management. This short film, Why Bears?, is a good introduction to the concept of ‘keystone’ and ‘umbrella’ species and why conserving healthy habitat for predators is also good for humans. 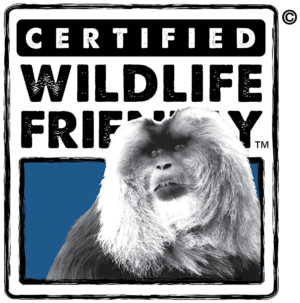 The Washington Department of Fish and Wildlife has an excellent Living with Wildlife series that explains the instincts and requirements of many species from elk to beavers to skunks and includes detailed conflict prevention and fencing recommendations. 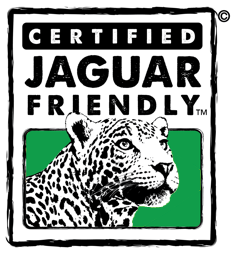 Links to the series’ large carnivore factsheets are below. 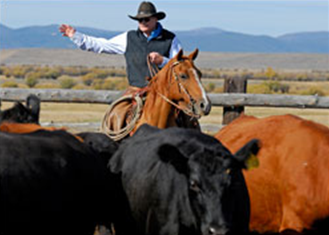 Herd management practices are an integral component of proactive coexistence planning. 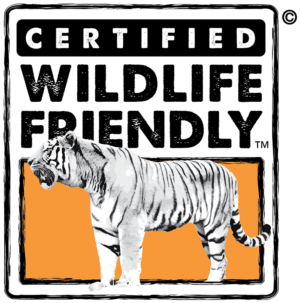 Successful predator deterrence often requires a mix of activities to ensure that local wildlife remain wary of approaching domestic animals. Where predators have good cover and a ready means of retreat, they may be more willing to expose themselves to novel situations. By becoming familiar with the habits and requirements of area wildlife, producers can gauge appropriate management options. especially important when animals are most vulnerable. Therefore, the timing and location of lambing and calving are important considerations. When native prey are abundant and domestic animals are hard to access, predators are less likely to expose themselves to risk. Calving and lambing in secure areas—from barns to fenced lots—is optimal. Other options include lighting, the use of visual deterrents such as flagging (fladry), unaccustomed sounds and human presence. Predators can become comfortable with the routine of a farm. Varying approaches to pastures, changing where and when people are present, and employing differing means of transportation can help to avoid predictability. Grazing larger stock together with smaller animals can deter predators. Further, varying pasture rotations to keep small and vulnerable stock away from potentially difficult locations is a sound option, where practicable. Predators are often most active from dusk to dawn; practices designed to target this period may be especially effective. While no mix of husbandry practices is predator-proof, producers who make coexistence an integral part of herd management tend to reduce losses. Attention to natural cycles and an understanding of the environment on and surrounding their operations are hallmarks of producers who experience success. Further, record-keeping of livestock locations and losses helps one to pay prompt attention to predator problems and reveals any pattern that may exist. Reducing and eliminating attractant sources—by disposing of livestock carcasses, for example, and by making stock hard to reach—is a long-term approach to raising livestock with respect for the wild. Whether in the East or West, raising horses, sheep or cattle, these fencing guides have important tips on how to keep stock in and maintain passage for deer, ground-nesting birds and a host of other species. Livestock guardian animals are relatively new to the U.S., but have been used for centuries in Europe and Asia. Guardian dogs, llamas and donkeys can be incorporated with other management tools for a well-grounded approach to predator deterrence. The success of each species as a guardian depends upon a number of factors including the type, scale and location of a domestic operation. 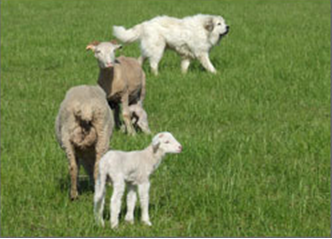 Further, individual temperament may be the true determiner of an effective livestock guardian. 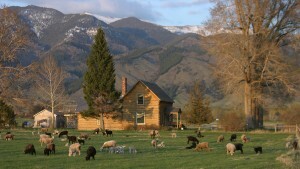 In all cases, livestock guardian animals require care by herd owners, and attention to their interaction with surroundings to perform effectively. 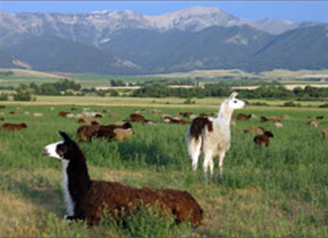 Dogs, llamas, and donkeys differ in their relation to herds and response to predators. Donkeys appear to have an innate dislike of dogs, coyotes and foxes and are often aggressive to intruders. Llamas are also wary of members of the canid (dog) family and protective of their flock and territory. 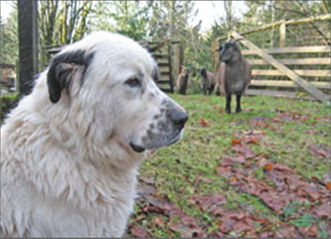 Livestock guardian dogs can be effective in a wide range of situations; they are often used in extensive operations and where bears and mountain lions are a potential threat. Selection of an appropriate livestock guardian depends upon multiple factors. The care and management of each species, along with herd environment, are important considerations in choosing a guardian. Tight housing to deny entry even to weasels. Runs made from 1⁄2”, PVC-coated hardware cloth, buried at least 18” underground. Chickens trained to return to the coop when called. The USDA/NRCS Wildlife Habitat Incentive Program (WHIP), Environmental Quality Incentives Program (EQIP) , and Conservation Stewardship Program (CSP), provide technical assistance and significant cost-share assistance to improve habitat and engage in stewardship practices. For more information, contact your local NRCS office. 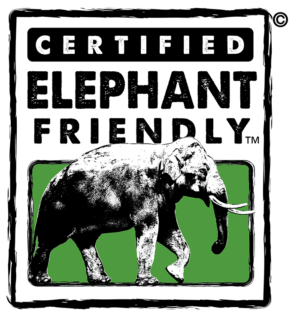 The Partners for Fish and Wildlife Program of the U.S. 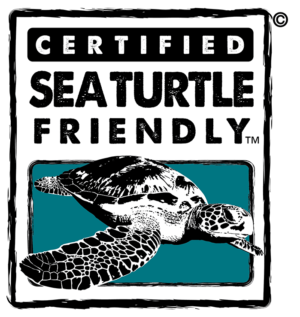 Fish and Wildlife Service provides technical assistance and funding to help restore and enhance habitats on private lands for threatened and endangered species and migratory birds including waterfowl, wading birds, shorebirds, neo-tropical songbirds. To contact the program in your area, click here.